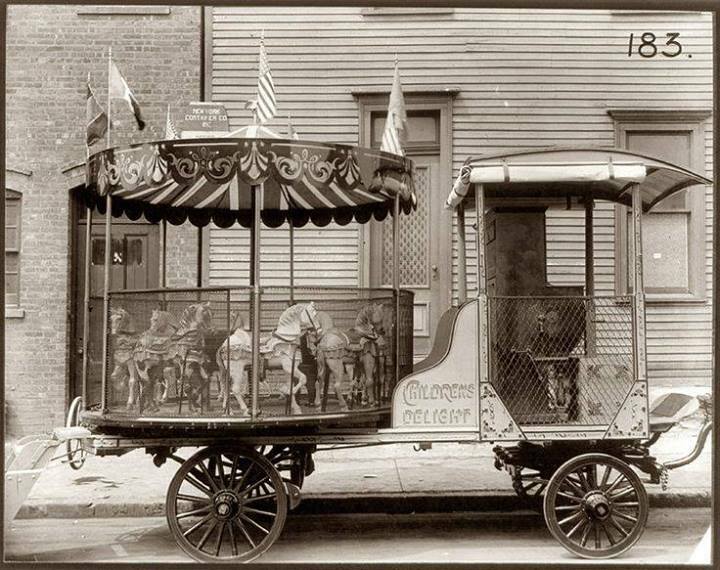 This adorable carousel is was located in New York in the early 1900s. Can’t you just imagine the excitement when it pulled up on a street! That is fantastic, Liz! Even more fantastic would be if it was pulled by some colorful ponies with feather plumes on their heads. Love this! Can we pin it? Please pin away! I would have loved to see that show up when I was a kid.